Shahid Kapoor’s wife Mira Rajput is expecting her second baby but her physical condition has not stopped her from her everyday schedules. 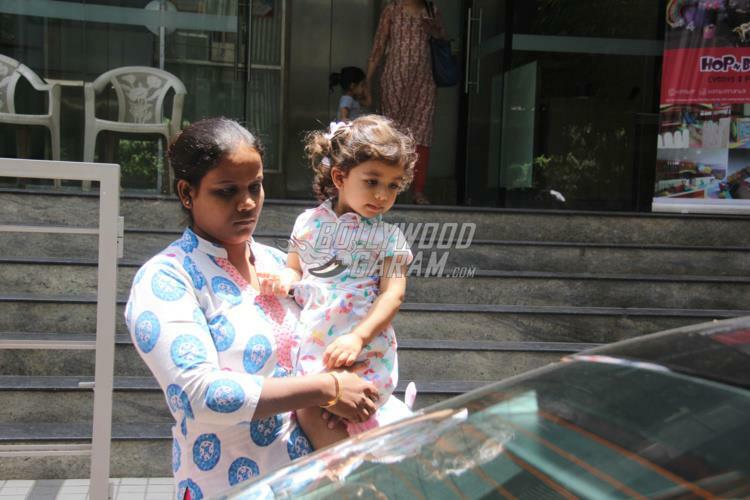 The 24 year old was snapped picking up daughter Misha from the play school in Mumbai on May 1, 2018. 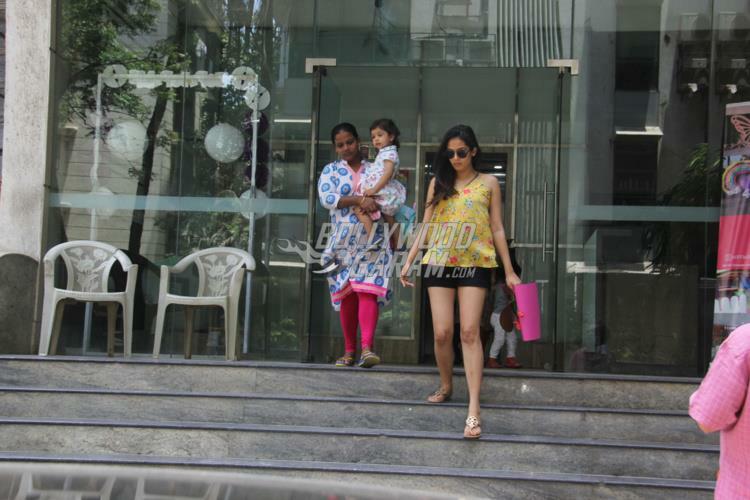 Mira was accompanied by Misha’s nanny, and looked cool in black shorts and a cool summery yellow top. On the other hand little Misha looked adorable in a light blue frock. Shahid recently confirmed about Mira’s pregnancy during an awards event while interacting with the media. 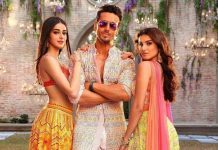 Shahid was last seen in the film Padmaavat and is currently filming for the film Batti Gul Meter Chalu.